Let Sika’s ancient sounds transport you to a different place and time. Sounds that invoke a primal memory; a gateway for reconnection to ourselves, to earth and to great mystery. A sound journey is a shamanic style of sound bath. Sika plays intuitively from his beloved collection of natural instruments, sensing into the energy of the space. His sounds include didgeridoo, drums, native flutes, Māori Taonga pūoro ('singing treasures'), rattles and shells. Voice and breath play a vital role too. Sika has been offering sound journeys for over 25 years. 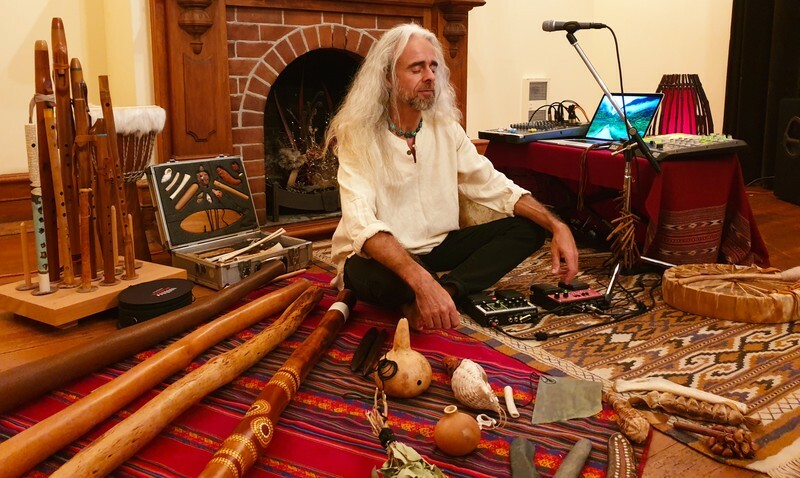 He weaves together sound, music and earth wisdom. Sometimes strong and rhythmic, sometimes haunting and ethereal - always memorable. This small venue in the heart of Golden Bay is an ideal sanctuary for a healing and relaxing experience. Please bring a yoga mat and blanket to lie on. You may also wish to bring a cushion for your head, a water bottle and a journal. Tickets cost $25 in advance or $30 on the door, subject to availability.